Where are my keys? Not a phrase you will have to utter with the following cutting edge technology for door opening. The Key Fob Door Entry System is our latest device that is designed to make your life a whole lot simpler. In the past a fob just used to be a term given to any decorative adornment on a keychain. It improved its functionality when clever people invented flashlights and bottle openers that could be easily added to your keys and put into your pocket (“Pocket” is the Low German “Fuppe” from where we get “Fob”). Nowadays people put almost anything on ‘fobs’, small or otherwise. But there is one thing that should never be missing from your pocket- your Key Fob System! Much quicker than a key and similar in size, the Key Fob Entry System does just that. It allows you to access in a keyless fashion by emitting an identity code that locks or unlocks your door. You may have used one to enter your car, but now they are available for your home and business too! No fumbling around for keys, your Key Fob System is so different in feel that you can locate is as easily as you do your mobile phone. 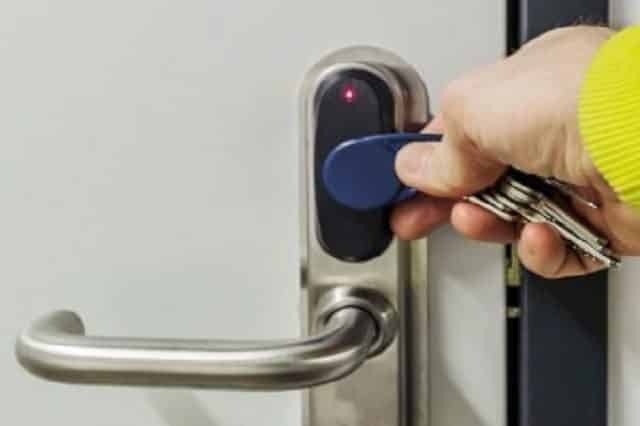 There are other devices that are similar in function such as smart cards, but if you lose your wallet or get it stolen then you will also be locked out of your office! Particularly interesting is their use in business as the Key Fob Door Entry System San Diego provided by Locksmith San Diego has the ability to log onto a network with an authenticating PIN. This method is the preferred security method as unlike a password which can be guessed or stolen, the PIN generates a unique number on the device that allows access to the network or information when entered. This adds extra security when going in to a facility or a specific area in the building. You can be granted or denied access depending on which Key Fob Entry System you have. This keeps certain people out of certain places, which is usually quite desirable for Employers to create more control over their property and business. 7 Day Locksmith likes to provide companies with innovative ways to make life difficult for thieves to copy keys and steal your life. Key fobs are so secure that they have been compared to having a pocket sized “surveillance camera on your key chain” as it lets device users in quickly and cheerfully, but keeps non-PIN using people out. Also the Key Fob System is so advanced that the entry code periodically changes… you couldn’t get that with a lock and key! Because the Fobs need to be programmed not duplicated, they are not as economic as a run-of-the-mill key, but neither do they have the thief-friendly drawbacks. These are the security must-haves of our time, so 7 Day Locksmith would be happy to help your company figure out your security needs. Whether you are caught in the rain, locked out of your office and heading for a traditional Locksmith service, or you are protecting your assets with the height of modern technology in the security sector, 7 Day Locksmith based in San Diego, CA, can cater to your needs. We have years of Key Fob installation experience not just in the San Diego area but also in Orange County and Los Angeles. We have hundreds of locations near you, with almost 70 offices in San Diego alone, to bring your nearest trusted locksmiths to you as quick as possible; we are never far away. As our name suggests, we offer our services 24 hours a day, 7 days a week, meaning if you need to consult our Key Fob System prices outside of your business hours we are more than happy to accommodate you. In addition to our installation services you will pleased to know that we also offer maintenance assistance should you have any queries post-purchase. It’s always nice to have a friendly helping hand when something is not working as it usually does. As time is a commodity, we work on adapting to your business needs on a schedule that is convenient for you; so you have as little interruptions in your daily goings on as possible. 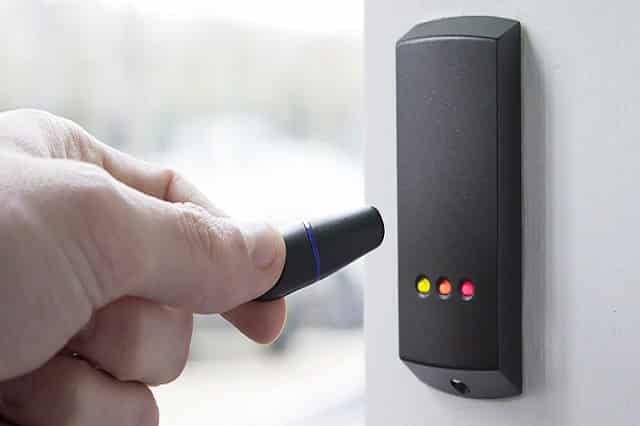 The Key Fob Door Entry System—Not For You? If after reading this you are having doubts as to whether you are ready to modernise with the elite businesses of this world, don’t fret too much. 7 Day Locksmith provides many different quality services as standard. We can fit you with regular or advanced durable locks with “real” keys. It goes without saying that our prices are very competitive and we are quick to solve any lock or key problems that typically occur. If you are locked out? We’re ready to help with our team of lock specialists that can get you quickly into where you want to be. If you have broken your key off in the lock? We have technicians on hand to fix or replace your lock and cut new keys for you, maybe even cutting you a third key if you feel you need a backup in case of repeats. If you need advice in the best services for you business? Pick up the phone and call us any time night or day to see what advice we can give you to help improve your security or help with any key-related problems you may have. 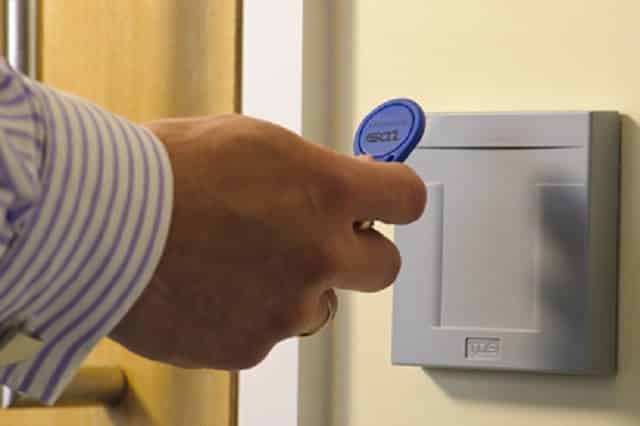 If however you do decide that the Key Fob System is right for you, then we will be delighted to help you by programming your very own system adapted specifically to the needs of your company. You will love the ingenuity of design and ease of use that comes with this form of pocket sized Key Fob.